A mother who stabbed her two daughters to death told a psychiatrist how her youngest daughter cried in the corridor as she strangled her eldest, a court heard. Italian Samira Lupidi was being questioned by psychiatrist Dr Jasanne Holloway when she told her, in detail, of how she took the lives of three-year-old Evelyn and Jasmine, 17 months. 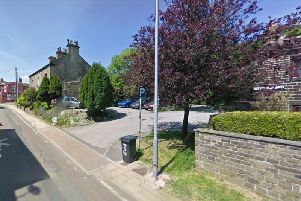 Family members were warned they would hear distressing information and some chose to leave Bradford Crown Court before details were revealed by prosecutor Peter Moulson QC. Addressing Dr Holloway, the prosecutor said: “When she [Lupidi] returned to the room she started to strangle Evelyn with her hands, she said Evelyn was fighting but she could not stop. “In regards to Jasmine, she told you that she put a pillow over her face until she stopped moving. “Miss Lupidi said she didn’t remember using the knife and every day asks the question, why?” the prosecutor added. Lupidi is charged with the murder of her two children after stabbing them to death with a stainless steel knife at a womens’ refuge. Lupidi accepts she killed her girls but that she killed them in a fit of diminished responsibility. The court heard yesterday (Tuesday) how she was paranoid her partner, Carl Weavers, would leave her and take the children with him. The court heard a statement given by Mr Weavers which told how the pair had met in Italy on Facebook. Mr Weavers was from the UK but he had an Italian grandfather, he went to live in Italy when he was around 21 years old. He said their relationship was a volatile one and that it soon ended but that they got back together when Lupidi later told him she was pregnant. He said that Lupidi, who had previously worked as a hostess and a model, had problems which he put down to her difficult childhood. But, due to that, he told how Lupidi had wanted their children to have a nice childhood. Despite Evelyn being a difficult child, the family suspected she was on the autism spectrum but had not yet been diagnosed, she would not talk, only shouted “Mamma” and was clingy with Lupidi, wouldn’t play and could be aggressive. Mr Weavers said in his statement: “Sam [Lupidi] coped wonderfully. I often wondered how she coped when I was at work. Sam never lost her temper, she was always kind. The court heard that in the interview with Dr Holloway, Lupidi had described the girls as “her strength”. Yet she was insecure in her relationship with Mr Weavers, she would question him if he came home late and compare herself to other women on his Facebook. She felt isolated because she could not speak English and had no financial independence as she could not have a bank account, with her being an Italian national. However, the court did hear that when the police seized Mr Weaver’s mobile phone they found that he was having intimate conversations with other women. In the days before Lupidi went to a women’s refuge on November 16, the couple and Mr Weavers family had even been planning a christening for the girls, the court was told. Mr Weavers had no idea Lupidi was planning to leave and did not know where she had gone, the jury heard. The court heard he noticed clothes were missing and her key was left behind, suggesting she would not be returning home. He had tried to get hold of Lupidi and even got onto the police - who informed him they were safe and they were not missing, the jury was told. “I honestly thought she wouldn’t have done that,” his statement said. Dr Holloway told the court: “She [Lupidi] felt emotionally lost and scared and confused when her partner was texting her in the safe house. She also has nightmares that she is abandoned in the middle of nowhere with Mr Weavers and his mother taking the children. Dr Holloway concluded that Lupidi did suffer with a moderate to severe depression but that this did not contribute to the killing and did not amount to diminished responsibility. Lupidi denies two counts of murder.